The Dutch ‘Female Board Index 2008’ provides for the second year an overview of female representation on the Board of Directors and Supervisory Boards of 113 Dutch NV companies1 listed on Euronext Amsterdam. The companies were classified according to the percentage of women present on their combined Board of Directors and Supervisory Boards. 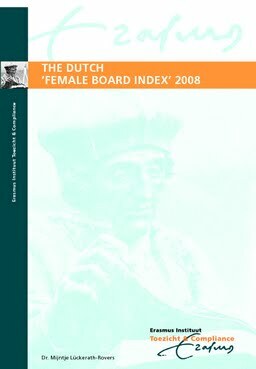 The Dutch ‘Female Board Index’ also analyses the differences between male and female executive directors and supervisors ('non-executive directors') and between companies with or without female representation on their Board of Directors and/or Supervisory Boards (together the ‘Board’).